Jørn Utzon often spoke of the sense of ‘the deep site’. 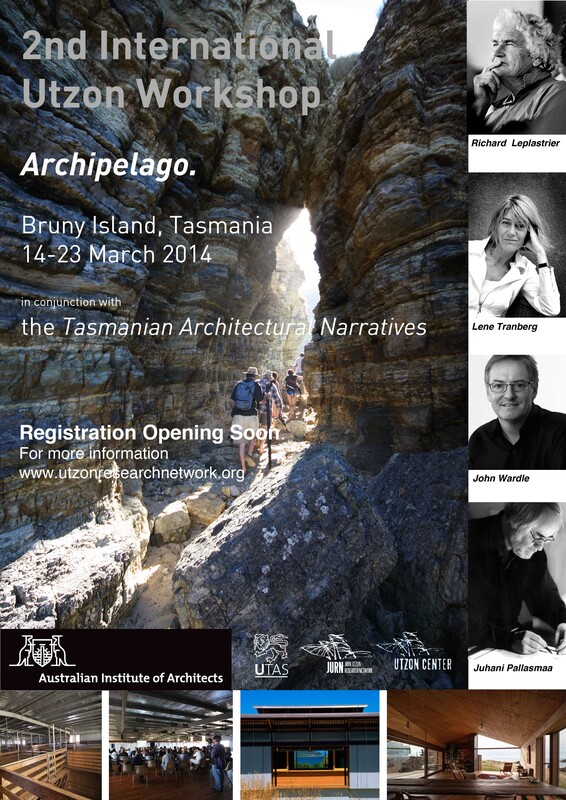 In this Second Utzon Workshop, located in Tasmania, issues of the cultural and environmental site are central. With esteemed teachers and practitioners, including Lene Tranberg, Juhani Pallasmaa, Richard Leplastrier and John Wardle, participants will be guided through and exposed to an area of deep cultural significance in Australia. Please note that the submission of a justification will form a key element of the selection of participants. It is due no later than the 15th January 2014. Applicants should have a minimum of two years undergraduate education at a recognised School of Architecture or cognate discipline. Applications will be considered on a ‘first-come’ basis and assessment of expression of interest.